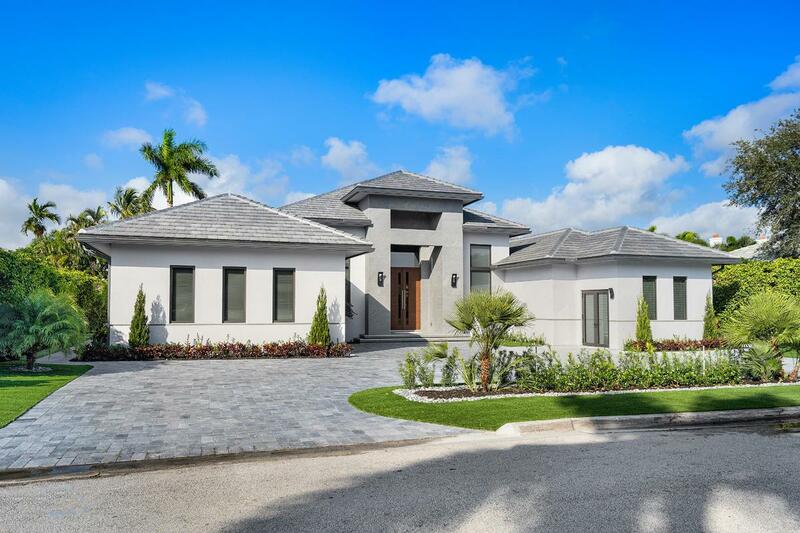 2343 Date Palm Road is a contemporary new construction single-story home built by Marvel Mat Builders in the exclusive Royal Palm Yacht & Country Club. 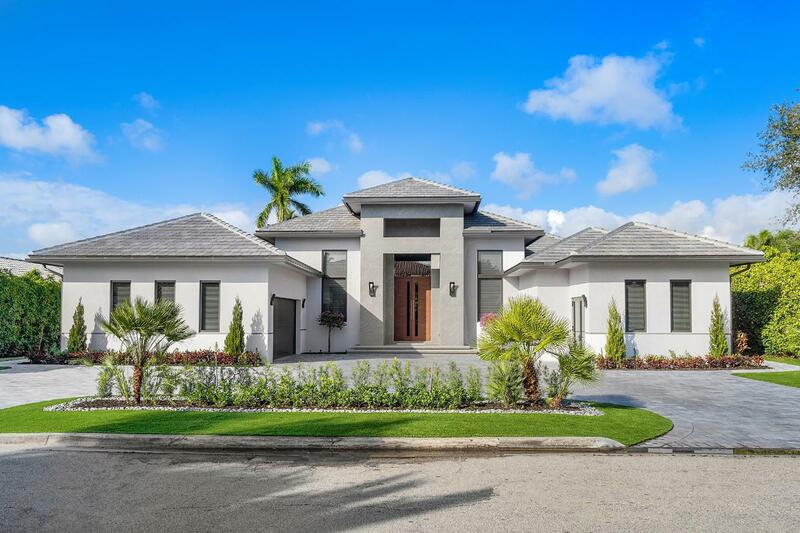 The home features 3 bedrooms, 2 full and 1 half baths, 3,882 living square feet, and total custom finishes inside and out. All main living areas, back porch, and bedroom suites have beautiful porcelain tile floors laid in a subway pattern. The formal living room features soaring 16' ceilings and has collapsible accordion sliders for a total indoor and outdoor living space. This home was made for entertaining! The gourmet kitchen, fit for a chef, is fully equipped with sleek charcoal black stone counters, premium stainless steel appliances, subway glass mosaic tile backsplash, floating wood shelving, 6-burner gas cook-top, custom woodcabinets, and a breakfast dining space with garden views. Have a relaxing movie night or enjoy the big game with family and friends in the theater room that features 8 leather armchairs, soundproof walls, and surround speakers all just steps away from a custom entertaining bar. 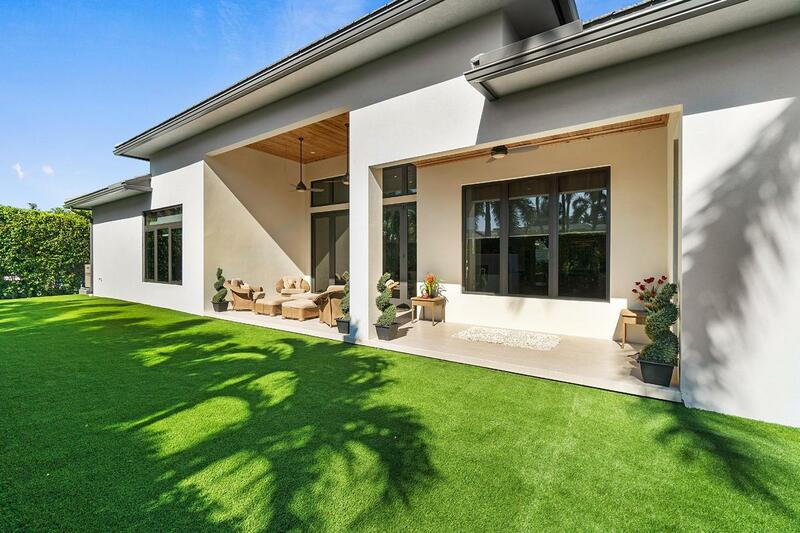 The back porch quickly transforms into a comfortable lanai with an Under Cover retractable hurricane screen. The spacious seating and dining space are accompanied by a 10' imported Italian fire feature in the yard with color glass and stainless Schluter accents that sets the perfect ambiance for outdoor entertaining. Also features a full house natural gas generator.